The Picpoul de Pinet is a specialty from the South of France, it grows in the Languedoc, around the town of Pinet, nearby the Etang de Thau, known as one of the most important oyster and mussel farms in France. Nearby, the Picpoul de Pinet is also a perfect combination to the oysters of the Etang de Thau. The Picpoul (also called Piquepoul) is a regionally widespread grape in southern France, but it is rarely used as a name on a wine label. It produces a soft and round white wine, which tastes best in its youthful fruity phase and is an ideal accompaniment to Mediterranean fish dishes. 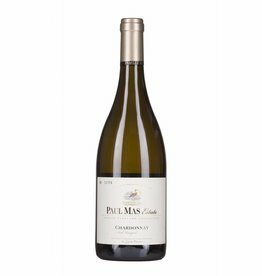 The Picpoul de Pinet Paul Mas Estate is a supple and medium-weight white wine with low acidity, a true charmer with the best balance and a lot of fruit reminiscent of pears and pineapples. An almost unknown beauty of southern France.